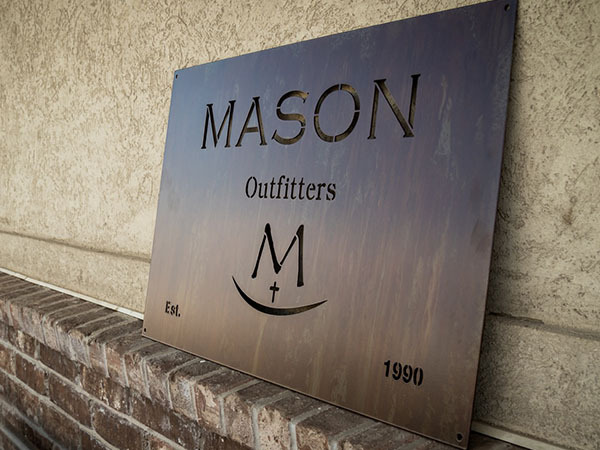 Rustic finishes have quickly become one of the top trending sign options for businesses, parks, and offices. The rust adds a modern feel that is perfect for indoor and outdoor settings and landscapes. Add a powder coated backing plate for a fun pop of color. 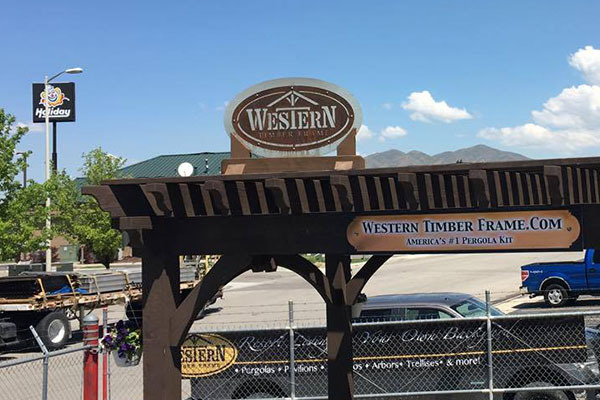 To get started on your laser cut rustic signs, give us a call today at (801) 414-1724 or click the button below. 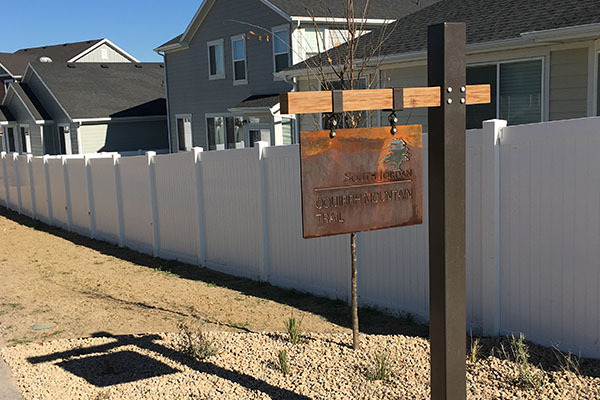 To get started, send us your design ideas for the metal sign. This can be a PDF, images, sketches, or a Word Document. Our team is also capable of providing logo integration options to help bring your company to life. We will take your design ideas and create a realistic proof of how the finished sign will look. This gives you the opportunity to view the design and make any adjustments before the metal sign is sent to laser cutting. After the metal sign has been laser cut, it is then sent to begin rusting. For indoor signs, a clear top coat is applied. 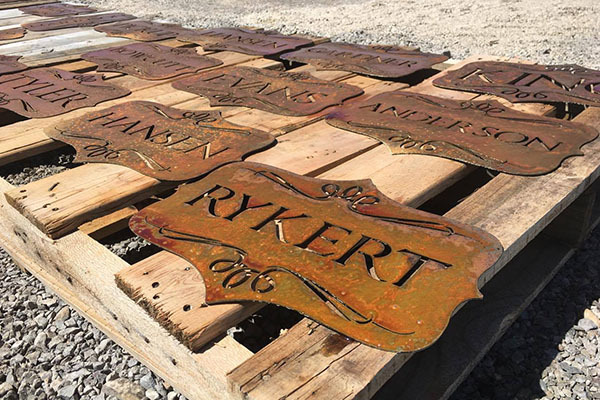 With outdoor signs, we jumpstart the rusting process and allow it to natural rust on it’s own. It is then sent to you. 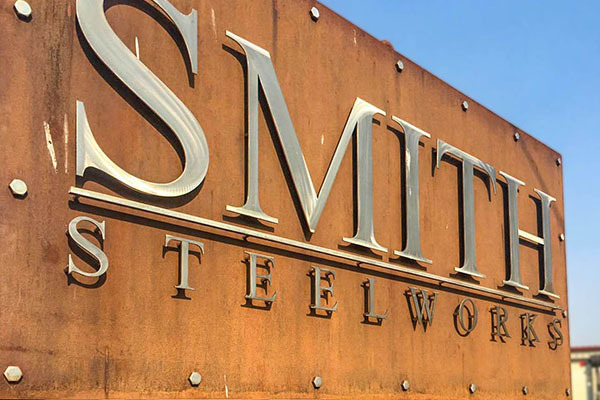 At Smith Steelworks, we create laser cut signs that are made to withstand for years and years. This includes using fully closed welds, high-quality metal, and weatherproof finishes. 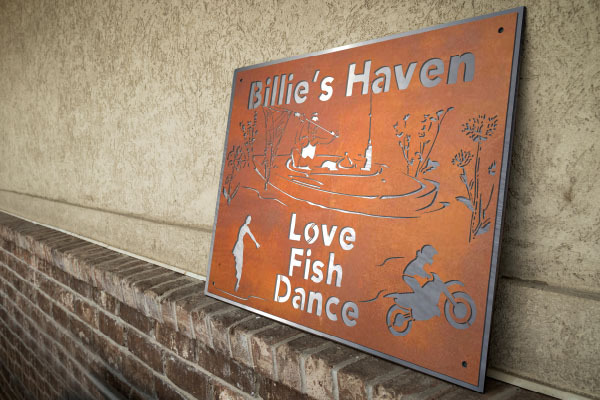 Rust signs are capable of being installed indoors or outdoors. Interior signs are pre-rusted and a clear finish is then applied. Outdoor signs are also pre-rusted, but then allowed to continue rusting overtime. You can choose between a simple, one-layer rustic sign or add a backing plate or stand-off letters. These add-ons can be stainless steel or powder coated. 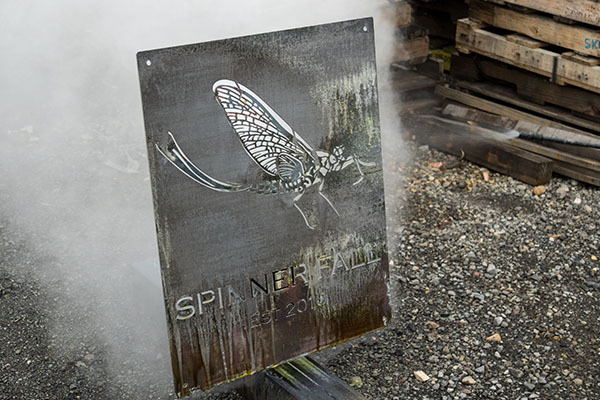 Each metal sign is made to order. This gives you the creative freedom to choose the dimensions, installation options, and more. 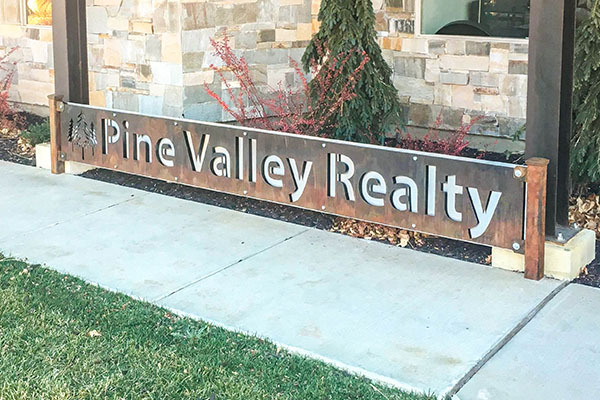 Rust Finish: The rust adds a unique look to each metal sign. Since it is a natural rusting process, it does need to be stated that no two signs will rust the same. Layering Options: We provide custom layering options that create beautiful, intricate signs that are perfect accentuate every location. 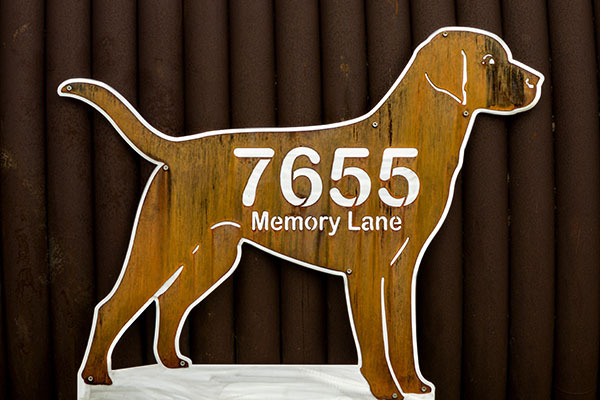 Our designers are capable of making the sign as simple or detailed as you would like. 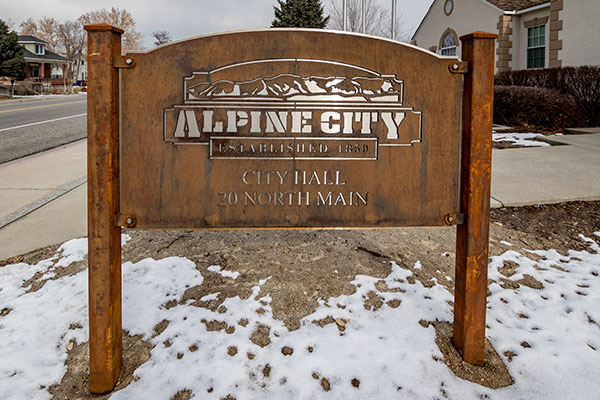 Rustic City Signs have become one of our most requested signs. It is the perfect addition to the community. 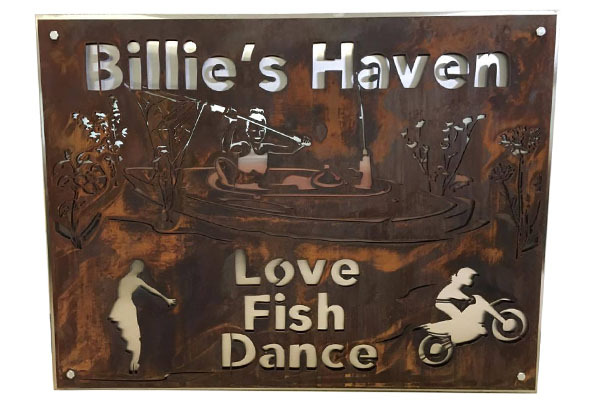 Our designers specialize in taking your brand logo and turning it into a laser cut metal sign that is ready to be installed. Add a hanging sign to your city walking trail. The rustic finish provides a modern touch that will age beautifully. Since our team personally rusts each sign, the finish will look slightly different from each other. 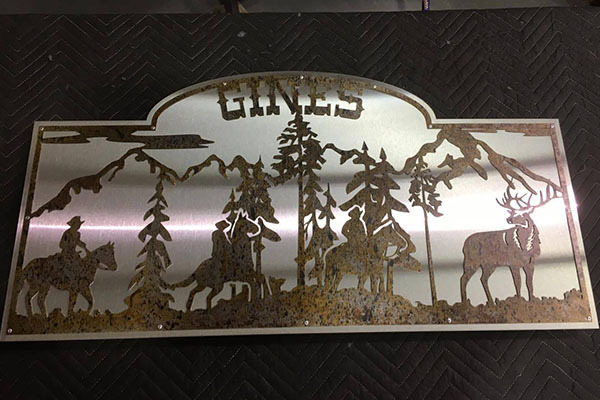 For exterior metal signs, we will begin the rust process. The sign will continue to weather with time. The signs are available with one-layer or multiple layered parts. We love the look of a simple sign. Looking for a way to upgrade your park? 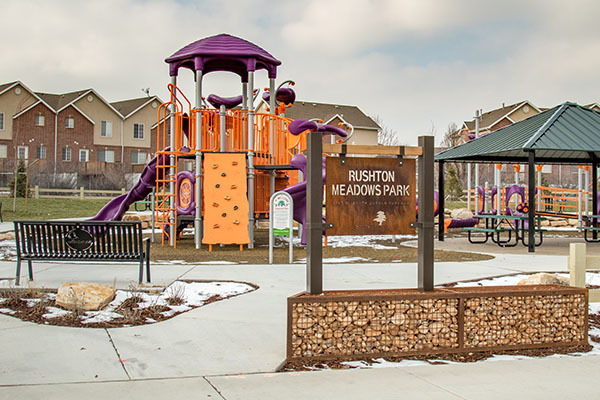 Add a rustic park sign to welcome visitors. Have abstract ideas for you sign? Our designers are masters at turning your ideas into art. 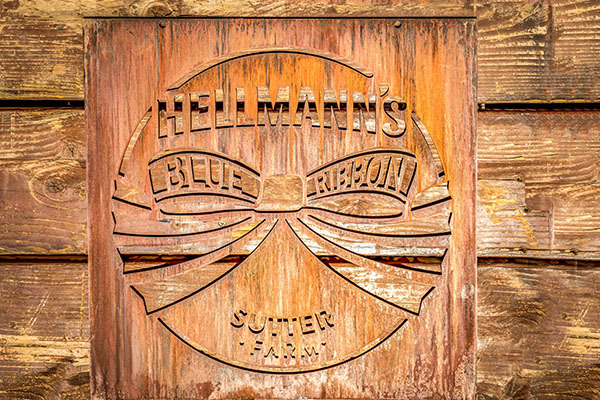 Stainless steel layered with a rustic metal is one of our favorite designs for our signs. Looking for a particular shape for your metal sign? We can do anything from squares to animals. Your business sign is one of the first things your customers will notice. Make it exceptional! 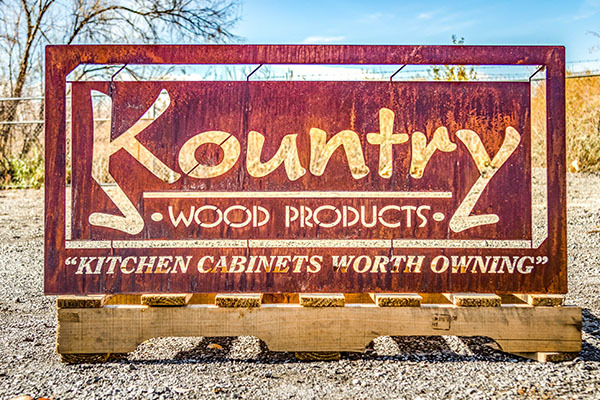 The Kountry Sign was a recessive metal business sign that featured a rustic, classic finish. 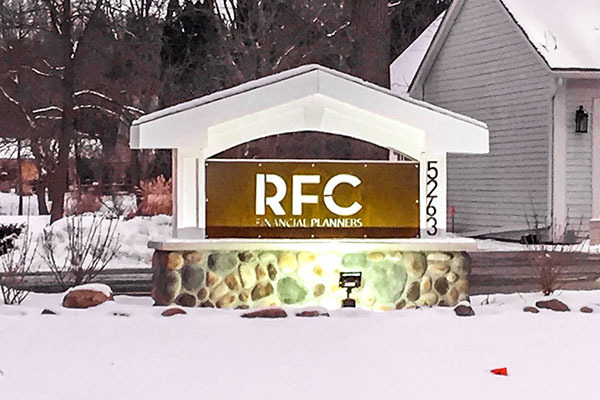 The Financial Planning business sign was create with a rustic finish and a white backing plate. 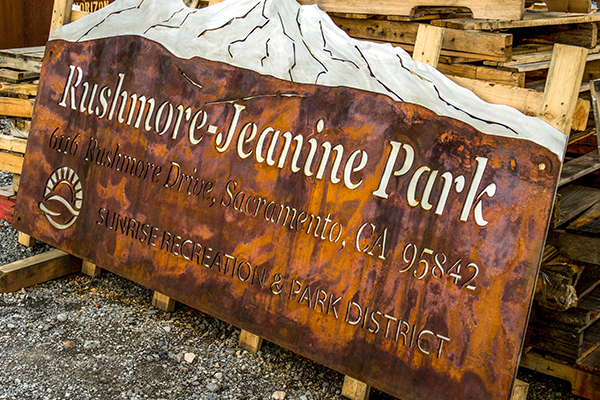 The Rushmore-Jeanine Park Sign features a mountainscape top and a city logo on the left-hand corner. 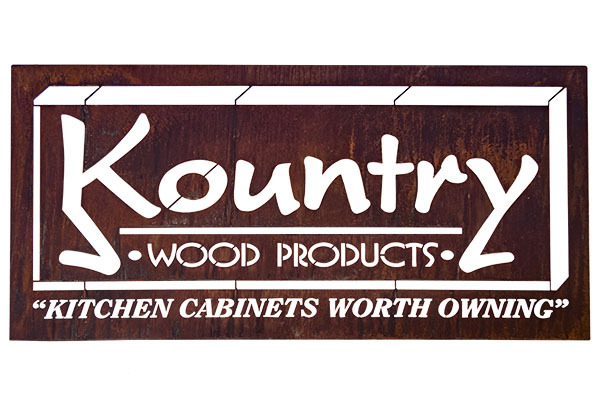 Add professionality to your business front with one of our rustic signs. Stainless steel adds a modern touch. Stainless steel letter were added to the rust finished business sign. You can view more stand-off signs here. Each laser cut metal sign rusts slightly differently. This gives each metal sign a unique finish. 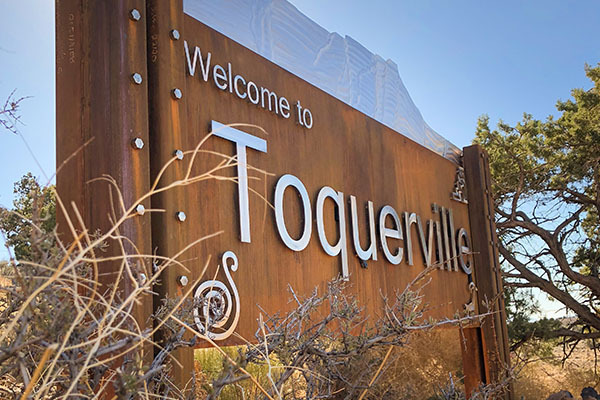 The Toquerville Sign was pre-rusted before installation and will continue to rust overtime.